Mike Myers thinks he was “a genius”, while John Cleese regards him as “a true cultural icon”. He was an architect of British comedy, paving the way for Monty Python, and then became a major Hollywood star, forever remembered as Igor in Mel Brooks' Young Frankenstein. A writer, director, performer and true pioneer of his art, he died aged only 48. 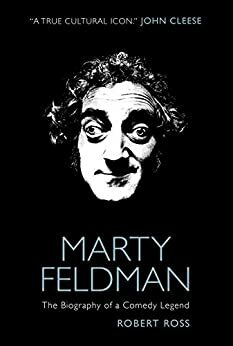 His name was Marty Feldman, and here, at last, is the first ever biography. Acclaimed author Robert Ross has interviewed Marty's friends and family, including his sister Pamela, Tim Brooke-Taylor, Michael Palin and Terry Jones, and also draws from extensive, previously unpublished and often hilarious interviews with Marty himself, taped in preparation for the autobiography he never wrote. No one before or since has had a career quite like Marty's. Beginning in the dying days of variety theatre, he went from the behind-the-scenes scriptwriting triumphs of Round the Horne and The Frost Report to onscreen stardom in At Last the 1948 Show and his own hit TV series, Marty. That led to transatlantic success, his work with Mel Brooks including his iconic performance of Igor in Young Frankenstein, and a five-picture deal to write and direct his own movies. From his youth as a tramp on the streets of London, to the height of his fame in America - where he encountered everyone from Orson Welles to Kermit the Frog, before his Hollywood dream became a nightmare - this is the fascinating story of a key figure in the history of comedy, fully told for the first time. [An] incredible story... A richly rewarding read. "Time Out"
"Marty was a grand talent. A comedic writing and acting legendthat may never again be matched in terms of content and volume alone. RobertRoss love of the subject allowed you to get to know this troubled andtortured soul." - "Killer Reviews"
"I love British comedy. I learnt from it. 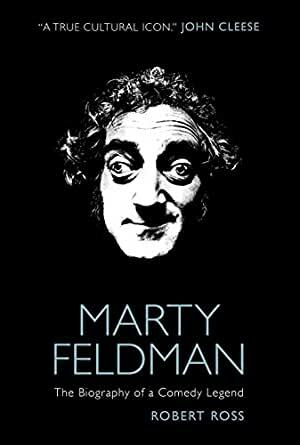 Marty Feldman was a genius. Crossed eyes arefunny!" -Mike Myers"
I bought it for my son and he thinks it is a very interesting read. 3.0 out of 5 starsDid anyone proofread this? I purchased the Kindle version and there are so many typos / errors it make you wonder if anyone proofread this poor manuscript at all. I'm halfway into it and it is interesting I just feel that a shoddy job was done.